President Trump and Congressional Republicans have already abandoned two previous attempts to secure funding for the president's promised border wall after forcing two brief partial government shutdowns. But with Democrats preparing to take control of the House in January, the president is ready to give it one last shot. At least that's what he told Politico during an interview published Wednesday morning. The president said he would veto any funding bill that doesn't include $5 billion in appropriations to start building his wall on the border. To avert a shutdown, Congress must pass - and the president must sign - seven appropriations bills that have already been negotiated before midnight on Friday Dec. 7. President Trump apparently still believes that Republicans wouldn't suffer any political fallout from a shutdown (particularly if it's done in the name of border security); instead, Democrats would shoulder most of the blame. And given the increasingly violent confrontations between border patrol agents and members of a caravan of migrants from Central America, Trump believes the political winds right now are particularly favorable for approving the wall. Sitting at the Resolute Desk in the Oval Office, with a stack of papers, magazines and a soda at the ready, Trump said he now believes that a pitched battle over the border is a "total winner" politically for his party, and a loser for Democrats. "I don't do anything...just for political gain," Trump said. "But I will tell you, politically speaking, that issue is a total winner. People look at the border, they look at the rush to the police, they look at the rock throwers and really hurting three people, three very brave border patrol folks - I think that it's a tremendous issue, but much more importantly, is really needed. So we have to have border security." His insistence on $5 billion for the wall — "I am firm," he said — does suggest a real risk of a partial government shutdown. Congress must pass seven appropriations bills by next Friday, or risk a lapse of funding that would interrupt operations at the Department of Homeland Security, Justice Department, State Department and other federal agencies. Democrats will take control over a slice of Washington in 37 days, the first time they've controlled any lever of power in Trump's Washington. 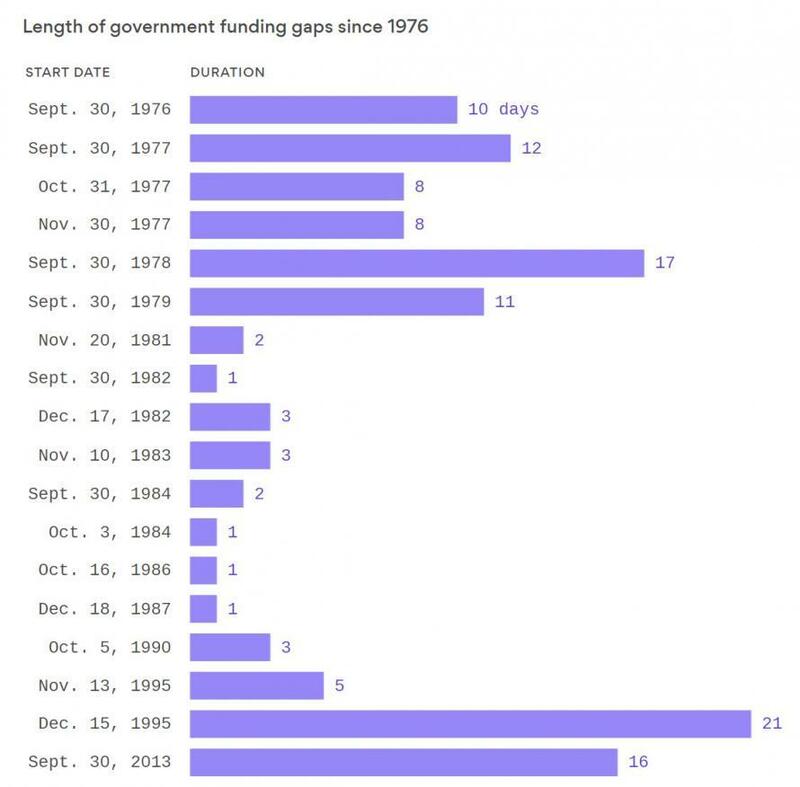 A December shutdown would be the third under Trump, and the 20th in the past 40 years. Trump's insistence that he won't accept anything less than the full $5 billion contradicts a statement he made to the Washington Post on Tuesday, when he said that he would be open to a compromise on border security with Democrats. Asked if he would be open to a compromise on DACA, Trump said he'd prefer for the courts to rule on the legality of the Obama-era policy. If they rule "properly" Trump said, the US will be able to keep the Dreamers, and he wouldn't see any further issues. But while Democrats will almost certainly oppose Trump's demands, the real questions is whether he'll be able to win support from Republican "deficit hawks" like Rand Paul, who have previously balked at allocating the money for such a massive infrastructure project. For what it's worth, Republican Whip Steve Scalise said Republicans must back Trump's plan. "We need to be there for him," he said. But whether his colleagues in the leadership, who have spent months negotiating the seven funding bills, would be willing to start over remains to be seen. If Trump doesn't easily win support for the wall funding - a scenario that looks extremely likely - he would risk provoking another drawdown in markets, because with interest rates expected to rise in December and few expecting meaningful progress in China-US trade talks later this week, another anxiety inducing shutdown battle is the last thing the market needs.